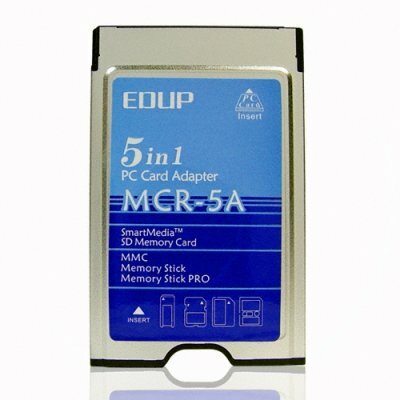 Successfully Added PCMCIA 5 In 1 PC Card Adapter to your Shopping Cart. Excellent new computer accessory for making any PC with a PCMCIA type II slot into a multi-card reader. With this handy and easy to install device, you will never again have to worry about cumbersome USB card readers taking up precious USB hubs needed for all your gadgets. Once installed you will instantly be able to read and write information on SD, MMC, SM, and even MS and MS PRO cards with ease. A perfect computer accessory for yourself or for high profit resale, direct from China.